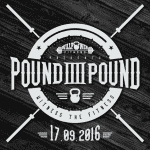 Pound for Pound 2017 is a singles body weight competition involving functional based movements, weightlifting, gymnastics and mono-structual (run, row, skip). Pound for Pound 2017 is designed for any type of athlete, with RX male/female, SCALED male/female and MASTERS male/female. Pound for Pound 2017 is based in an amazing location, set in a secluded woodland with a backdrop of open fields and farmlands.